Both trenching and grading buckets will be optimized to fit the standard clamp and the optional Pro Clamp System, allowing operators to better move and grab more materials. 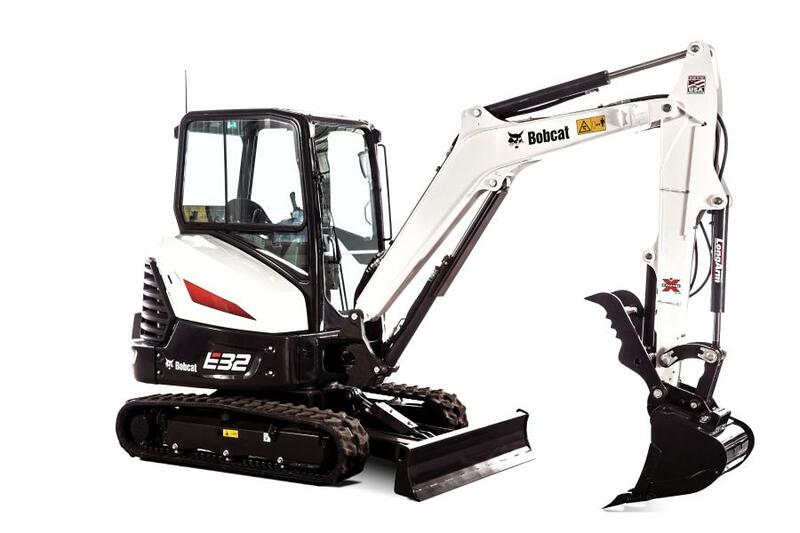 Bobcat Company has expanded its current attachment line-up with the newly redesigned trenching buckets and all-new grading buckets for Bobcat E26 through E85 compact excavators. Both buckets will greatly benefit compact excavator operators, offering them increased durability and reliability, maximum digging capabilities and easier clean-out when cleaning ditches, backfilling, leveling or grading, according to the manufacturer. The new grading buckets — available in 36-, 48- and 60-in. (91.4, 122 and 152 cm) widths — share the same profile as Bobcat's trenching buckets and will not have internal center gussets. The design gives a larger capacity than the current grading buckets and allows for more material to be moved in one cycle of the excavator work group. Grading buckets also are equipped with waffle plates to add extra strength and rigidity to the bottom of the bucket for longer life. Trenching buckets — available in 12-, 16-, 18-, 20-, 24-, 30- and 36-in. (30.5, 40.6, 45.7, 50.8, 91, 76.2 and 91.4 cm) widths — feature a replaceable cutting edge, leaving a smooth work area when the job is completed. A toothed version also is available, which uses the same teeth as the previous bucket model so customers and dealers do not have to stock two types of teeth. Additionally, a scalloped cast side cutter has been added for improved durability and functionality. Both trenching and grading buckets will be optimized to fit the standard clamp and the optional Pro Clamp System, allowing operators to better move and grab more materials. The Pro Clamp grading tool can serve as a smooth cutting edge when grading or trenching with a toothed bucket. It also can be reversed to serve as a clamshell when paired with a smooth lip bucket. Grading and trenching buckets can be easily interchanged using the X-Change attachment mounting system that is standard on most Bobcat excavators or the optional Hydraulic X-Change system for even faster attachment changes.